Home/Spousal Suport/Is there a Spousal Support Calculator in California? We are having trouble. You are having trouble because the courts have wide latitude in determining alimony, or spousal support, as it is called, in California. You will definitely find an easy peasy spousal support calculator online. You pop in the numbers and out comes your support. Here, at Edmunds Law Firm, that is where we begin the discussion. However, that is rarely where it ends. The reason is that, In California, according to California Family Code §4320, there are many factors in this “spousal support calculator” that the courts MUST consider. These factors are not found in your simplistic spousal support calculator. The California codes don’t always use the word MUST….but here, they did. That is why it is important to have seasoned family law attorneys who know how to gather and present evidence on each of these factors. What Are These Spousal Support Calculator Factors The Court MUST Consider? The skills of the supported party- What are they? Are they marketable? What is the time and money needed to train or retrain the supported party? The impairment of skills due to periods of unemployment devoted to domestic duties. Is and how much is the supported spouse’s earning capacity blown because they contributed to your license, training, or advanced degree? Can you pay spousal support, taking into consideration your income, assets, standard of living, etc? Before I go on with the realistic spousal support calculator that the courts MUST use, let me point out that there is a lot in there about the standard of living in the marriage. Don’t think one of you is going to have to sleep on a couch while the other is making out like a bandit, living like a king. The courts are looking at how you both lived in your marriage and balancing the hardships. The obligations and assets of each property, including separate property. Yes, this is where that yacht and estate bequeathed to you by your rich uncle come into play. Whether the supported spouse can get gainful employment whilst taking care of your twin two year old boys and autistic 12 year old daughter. Otherwise stated as, can your spouse have a job and still take care of the children adequately? The balance of hardships; See…it is even one of the standards. The court has ultimate discretion in regards to Spousal Support Calculator timing. However, it is public policy that spousal support doesn’t go on indefinitely. It all depends on your unique circumstances. The criminal conviction of an abusive spouse can be used to reduce the support amount or eliminate it altogether. This is my personal favorite Spousal Support Calculator guideline. Wait for it….Any other factor the judge deems just and equitable. That’s right…add your complex and odd circumstance here, if the judge thinks it is just and equitable to consider it, they can. I hope after reading all these pieces that go into a spousal support calculator in California you know why there is so much contention surround spousal support. There is a lot to consider. My best advice, don’t go at it alone. Find yourself an attorney that knows California Family Code §4320 very well. 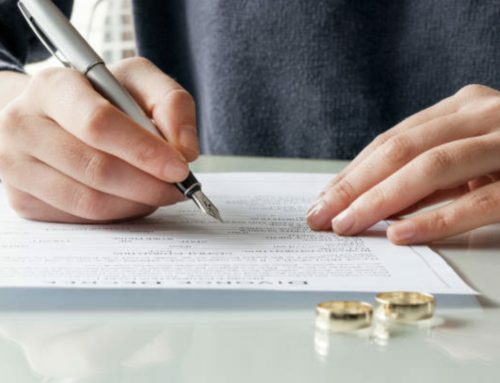 The attorneys at Edmunds Law Firm are eager to show you their knowledge of the real California Spousal Support Calculator. Call them today and get the help you, so desperately, need.